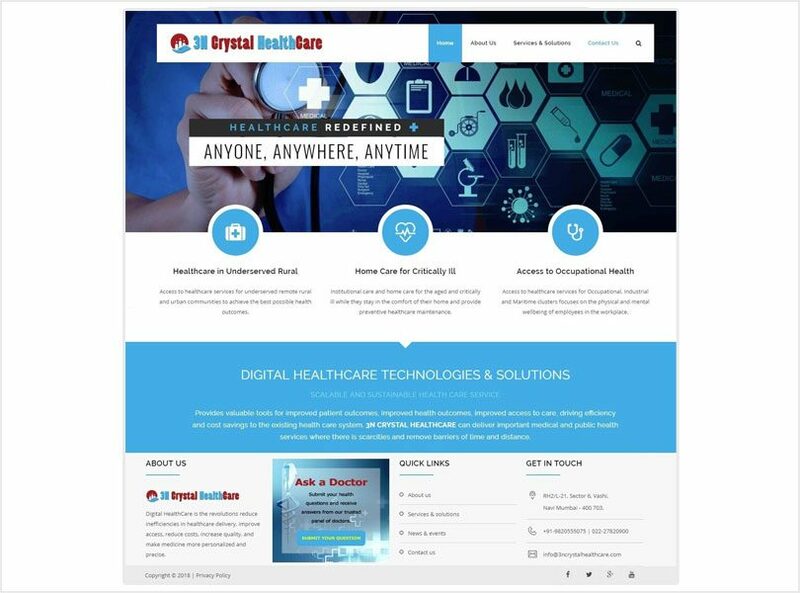 3N Crystal Healthcare provides a Digital Technology Platform for Telemedicine (remote diagnosis and treatment of illness or injury), Telehealth (remote delivery of medical care, health education and public health services) and services such as assessment, monitoring, communications, prevention and education. 3N Crystal platform encompasses a broad range of telecommunications, health information, videoconferencing, and digital image technologies and facilitates connecting multiple users in separate and remote locations. The platform provided by 3N Crystal is able to offer easily accessible, highly cost-effective and high quality health care for primary, preventive, promotive and curative primary health care services by remotely connecting health care providers and receivers with the aid of Information and Communication Technologies (ICT). The healthcare industry in the developing world is highly fragmented. The industry is facing enormous challenges, particularly in the delivery of primary health care across the urban and remote rural landscape. Inadequate infrastructure and shortage of qualified medical practitioners are considered the main reasons for the poor state of primary healthcare. Though Paramedics are assuming a greater responsibility of care, this however needs to be supplemented with doctors’ opinions.